I though it would be a good idea to write a Think Tank Airport Airstream review since I recently bought one. I've been looking for just the right photography luggage for several months and invested hours and hours watching You-tube and scouring Airport Camera Bags on Amazon. There are several features that I had to have in order for me to shell out my hard earned cash for another addition to add to my collection of bags, backpacks, and cases to hold the right amount of camera bodies, lenses, gadgets and accessories. 1. My travel bag must be small enough meet the size requirements of the airlines to be a carry-on. 2. Must be easy to transport. 3. Must protect my valuable camera gear from damage and theft. 4. Must be large enough to fit all of my necessary equipment for a serious photography excursion. The Think Tank Airstream appeared to meet the first three of my personal requirements listed above. Based on the specs and many reviews and opinions of other photographers I purchased it from Amazon. Now it had to be tested for its ability to hold the gear I was taking on my travel photography adventure to Alaska. The first arrangement I used was with lenses attached to my two Canon DSLR bodies. This gives you access to cameras that are ready to shoot in an instant. This was a good arrangement and leaves me room to spare for a few more small accessories. I confess I have a concern about storing lenses on bodies while traveling. This is the new layout with my lenses and two camera bodies separated. I did a third arrangement with my Canon 400mm f/5.6 included; it fit fine but was just a little too snug for my liking. Lenses like this and the 100-400 zooms will fit, but this is a case that is not designed for large super telephotos. There is no such thing as a perfect bag, but I do like this bag quite a bit. If I designed it myself, what would I change? A SHOULDER STRAP would be great for situations where the rollers can't be used and you need to carry the Airstream a fair distance. The handles are strong and well-padded, but for a wimp like me with a bad back, shoulder straps would make this task a bit easier. Perhaps I am nitpicking. There are designs without the telescoping handle that will give you addition room inside travel camera bags and they have shoulder straps instead. LARGER LAPTOP POUCH. This is more perhaps a sign that I need to get a smaller laptop, an iPad or an Android table rather than lug around my over-sized Dell. Think Tank does offer a low divider set which is an optional way to store a small laptop internally. This bag is categorized as a small bag. 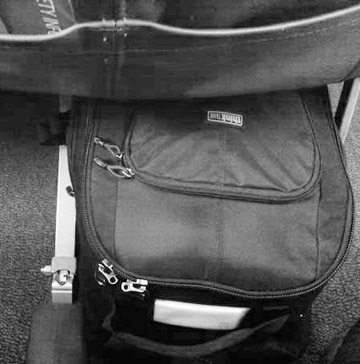 It is specifically made to easily fit both under an airline seat or above in the overhead storage areas. 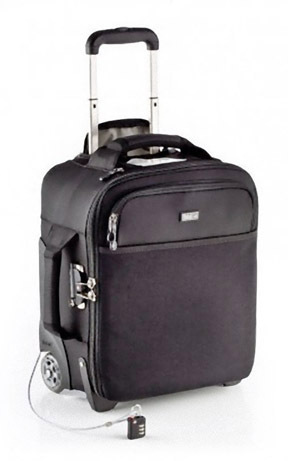 It is significantly smaller than the Think Tank International model, which also meets international carry-on requirements. 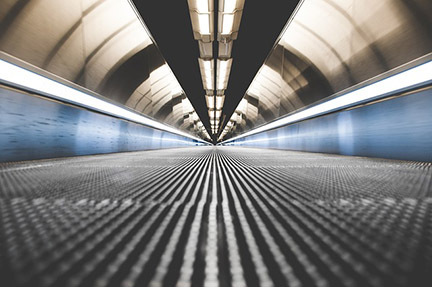 One of its purposeful design features is to have it appear as if it just an ordinary piece of travel luggage. 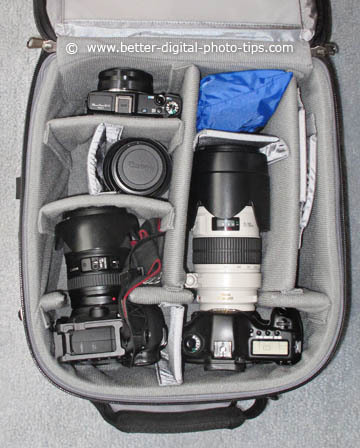 The camera backpacks tend to look like they may be designed for camera gear and thus more subject to theft. Parting thoughts for my Think Tank Airport Airstream Review? 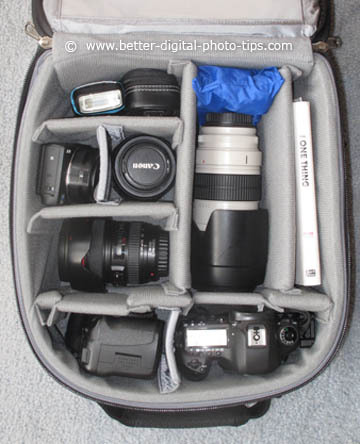 It's a little pricey, but there is no doubt a lot of thought and effort went into making this a high quality bag with the traveling photographer in mind.